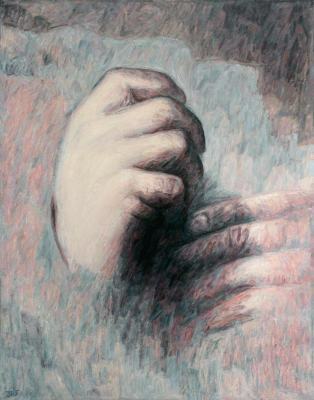 During the process of artistic creation, form gradually takes shape from the formless, represented here in the background which envelops the hands of this artist. It is he who ?from pre-existing material elements which act as an indeterminate visual substance? will give it form, an order which is the image of an idea present in the human “creator” spirit and, at the same time, the echo of the mystery that pulses within all known reality.